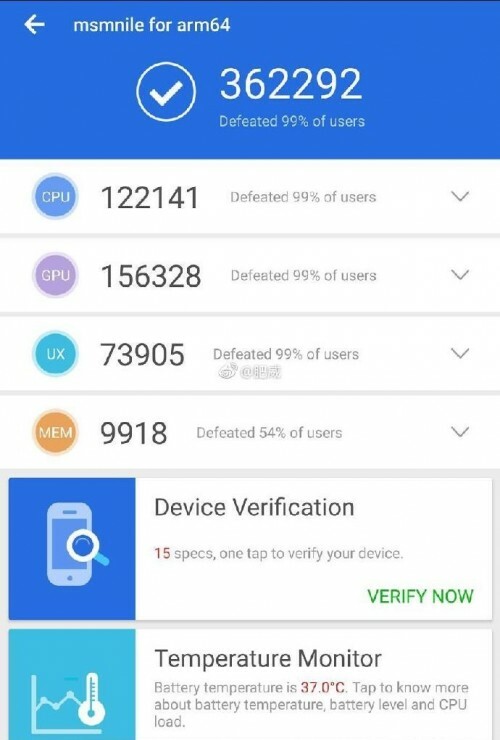 With the potentially nearing launch of the Snapdragon 8150 we begin to gather the pieces of the puzzle and the recent AnTuTu score helps a lot. The chip scored a whopping 362,292 overall points smashing the Kirin 980 (273,913) and overtaking Apple's A12 Bionic (353,210) by a small margin. But that's not all. 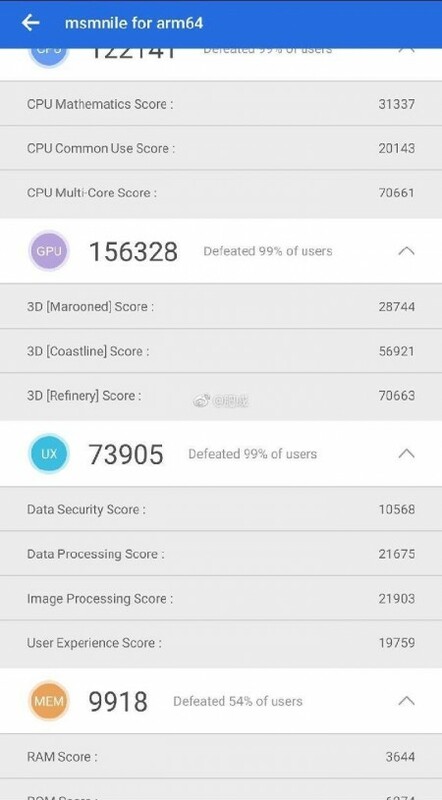 The leaked AnTuTu score sheet is coupled with information about core configuration and clock speeds. Supposedly, the leakster who posted the screenshot on Weibo has some inside intel regarding the chipset. He claims that the Snapdragon 8150 comes in an unusual core configuration 1+3+4 or in other words - 1x high-performance core, 3x medium cores and 4x energy-efficient low-performance cores, which contradicts the initial reports. Anyway, the CPU's high-performance Cortex-A76 core is clocked at 2.84 GHz, the three medium ones (again Cortex-A76) are clocked at 2.4 GHz and the smaller Cortex-A55 cluster of four cores ticks at 1.78 GHz. 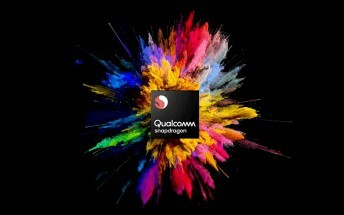 If true, Qualcomm seems to be taking a bit unconventional approach and utilizes ARM's DynamiQ architecture that lets manufacturers pair different types of cores with various clock speeds into one cluster. The GPU score shouldn't be overlooked as well - 156,328. That's around 20% increase in raw performance over the Adreno 630 found in the Snapdragon 845. Of course, the information isn't confirmed and we should take this as a healthy portion of skepticism. There's not long left now though, so we will know the truth soon enough.